Hello i am joseph,nd am kinda new here,but the post nd comments here av relly blessed my life,i want to ask a question nd am directing it to tony..how can i grow more in my healing anointing? Hi Joseph, For Tony to see your post quickly you will need to reply to one of his comments below. Best to you. The greatest and fastest way to grow is by getting your mind renewed.Everything flows from the renewed mind.Doing the works of Jesus flows from the renewed mind and your personal relationship with him.Healing is who Jesus is.He is the author of Life.Everything was created by him and for him. (Hebrews) Go to awmi.net and click on “Audio Teachings” under “Audio”.You will see a series called “A Better Way To Pray” and another called “The Power of Faith Filled Words”.Get into these as fast as you can.You will learn more in a few hours than most do in a lifetime.Then healing will flow out of you to others very easily. Wow, I’ve read all comments and I’m glad in my spirit because I know that with God all things are possible. I was beginning to lose faith in divine healing but have been recharged to keep standing. Thanks to all that left a comment. Lesley, Thank you for sharing, but what are you trying to tell us? Pentecostal is bad/occult? Or Jesus doesn’t still heal today? I’m just not sure what your message is trying to tell us. Not to follow anything on John Alexander Dowie, or not to follow any of the beliefs of the pentecostal church? Thank you. Kristy – Sorry, I deleted the post. I believe they were tying the Pentecostal Church to the occult. I would not have it. Ever so often, we receive comments from people that believe that they are the only ones who are correct. They consider everybody else as being of the devil. It happened in the Gospels and it happens today. PS I really don’t mind comments that challenge our beliefs. I actually enjoy them, and the chance they offer to discuss the issues. Nobody has this all figured out as yet. But I don’t like obvious mean-spirited or accusatory comments. Thanks Rex, I appreciate you getting back to me and going into detail on Dowie. I would have never consider that, how one can start out so good (with this amazing epiphany and gift he had) then follow the wrong path. I will look for the books. I appreciate your transparency. Hope you are doing good. Kristy – Pride is a dangerous thing. At the end, Dowie fancied himself an Old Testament prophet. Along with pride, he had a questionable wife, financial stress, and of course, a full-on attack of deception from the devil. John G Lake and others lost a fortune because of it and had to leave him. Dowie was responsible for the healing of Lake’s sister which started his incredible walk in the Spirit and in the power of God. According to my read of the Bible, we are all able to fall, especially those that are mature and are responsible for the knowledge they have (Hebrews 6:1-8). Kenneth E. Hagin Sr. had a vision of Jesus (I know this freaks out many people. That’s okay.) where he asked Jesus about a very good minister that had fallen and rejected the faith. He expected a deep and long explanation. Instead, Jesus simply said, “He didn’t stay filled,” and left it at that. Enough said. This just came to me for you. Pull up “Your Great Name-Natalie Grant” on You Tube. Enjoy this with the Father as you sing the melody in your heavenly language. Thank you Tony I will and I thank you for staying on this. I read all the bible verses you referenced today and listened to Jesus Culture. I haven’t listened to Andrew on spiritual dyslexia yet but will pursue that and the song you recommend. Blessings to you. You will all enjoy this testimony very much and it will bring you great revelation. 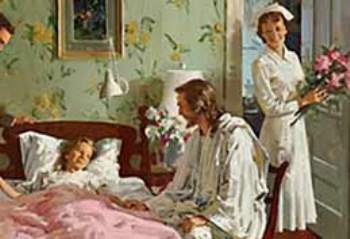 The fun part is he was telling me this story with another patient in front of us.I was able to minister healing to him and two others.The presence of our Father was tremendous.Living the commission Jesus gave us also keeps us in divine health because you are always reaping back what you have sown to others.I feel this all the time.Because you are releasing healing into those in need by your hands and words, it flows through your body also.It is very tangible. I spoke over you when I first received the email. Our Jesus is in you, fixing whatever needs fixing. Thank you Tony! Have a blessed week!!! One final thought to ponder. “Take my yoke upon you, for my yoke is “Easy” and my burden is “Light”.- Jesus. It is as easy as Jesus says.His words must be Lord over your life.When his words become Lord you will experience him deeply. Thank you Tony, this verse is so confusing to me and I have asked for revelation wisdom in many verses and every time I sit down to read my bible I ask for revelation wisdom into His word and to only allow me to read His word as He intended (because the bible has been translated so many different times for instance Hebrews 11:1 Faith is the substance of things hoped for, the evidence of things not seen, KJV,,,,, then in the NIV Hebrews 11:1 Faith is the confidence of things hoped for the assurance of things not seen. To me these are 2 totally different meanings. The first deals with physical matter while the other expresses like a noun description. exactly what you are talking about.It is under “God’s Kind Of Love: The Cure For What Ails Ya!” under “Audio Teachings” on his website.Give it a whirl. What am I missing? I have been believing for healing, commanding healing for months in the name of Jesus, reading scripture aloud as though it were the weapon and the medicine for my body. What am I missing. I hear of so many instantaneous healings what am I missing?? and understand that HE literally lives in you and heals your mortal body.That is what HE is saying in John 14 and Romans 8:11.He loves you and and HE lives in you.That is what makes healing manifest in your own body.You will see great manifestation.Put on a few worship songs by Jesus Culture (On YouTube) and you will feel the healing manifest.I see it all the time.Blessings. Thank you so much Tony!! Glory to God for you answering me so quickly, so appreciated and needed at times. Bless you! Thank you for loving me and standing with me Rex. I am searching and asking God to remove and show me the obstacle. He has shown me so very much in the last 8 months but it really started 1.5 years ago a renewing of my mind, heart and wisdom in Him. You are very welcome.Rex does a great job keeping his website running well so people get everything they need.Praise to our Jesus. in everything.He can look each one of us in the eye and say “You are my favorite”. Thank you Tony, good word above. Thank you Tony, yes I am so very thankful for this sight!! And for you replying so quickly and caring so much! Glory to God for the understanding He imparts to others for them to share! Thank you. Kristy – Honestly, we don’t know the exact reason. It isn’t as easy and as pat as Anthony makes it out to be. Faith is based on hearing from God and hearing from God is based on a relationship with Him, which you have. It is also based on seeking Him and waiting on Him. Of course, I believe in speaking the Word of God, that is why we have so many articles on that subject. But I also believe in seeking Him and waiting on Him to speak to you. It is ‘usually’ the missing ingredient in hearing from God. Seeking and speaking not in a striving pushing sense, but one that patiently seeks and waits, knowing that at the right time the answer will come. Fasting can be good too. Again, I don’t know your answer. We love you and I believe that your will hear from God and He will open the eyes or your heart to the healing He wants to accomplish in your body and life. Thank you Rex. I really appreciate you reaching out as well and giving me reference of good reading material. Thank you for the words of encouragement. It has been a journey and I have learned and unlearned so very much. I was raised a baptist and was saved and baptized as a baptist so thankful for that but I have always read the bible in a carnal way. God has turned on the light for me. But I read so much including Andrew Womack’s writing and understandings and even bought his book on healing and he too says healing should be instant. And with the miracle I receive in my hand that did come 3 days after God gave me better understanding of our mind and our words, but the healing is not complete except for the healing of removal of pain and tightness in my hand. That was instantly removed and the most heavenly experience I’ve ever known in my life. It was the true touch of God’s healing power and warm oil. Bless you and thank you! Wow! Amen! Great testimony? I am a born again believer. 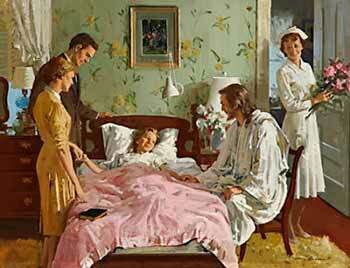 I believe that the lord can and will heal. I have seen him heal my son twice instantly! I do not understand why alot of times I pray for healing for myself , and am not healed. Does the word say that we should pray for our own healing? I pray for others alot. I believe i have the gift of intercensors prayer. here is how you do it.Go to Romans 8:11 and meditate in that verse. that he lives in you and “Heals your mortal body” as the verse says.I have done this for years.Also, you can read Jesus’s words in John 14 and 15 and it will release his healing in your body.Jesus’s words are Spirit and Life.It works wonderfully also to speak to the part of your body that needs healing and command it in Jesus’s name to be whole.All of these work great.The first healing I ever received was when my lower back was having problems.I commanded it to be whole in Jesus’s name and have never had a problem since.That was 7 years ago. Also, in regards to gifts, you have the fullness of the Godhead living in you bodily. You can read about this is Colossians 2 and 3.You have been given everything because HE lives in you. Me am anew born Christian but I was really inspired with this message. I have learnt how to use the power of God’ s word through my tongue. I pray God to help me learn more in Jesus name Amen. .
Wow… May God alone be praised forever more… God bless you Anthony. You will do these works also, because Jesus lives in you. and you will have wonderful encounters with him. Nothing can harm you when you really understand that our Father has hidden us in Jesus. I will but please check if the email address given is correct. I have a wonderful new testimony that just came in this week that I thought you all would enjoy. Last week I was called to St.Lukes hospital here in Boise that I go to on a regular basis.A older woman was on some from of life support due to a terrible stroke. The doctor and the family were expecting her to die.As I politely pushed my way into the cramped ICU room, the family was in total fear and submitting themselves to what the doctor had told them.I put my hand on the patient’s hand and said “In Jesus name be healed and whole.You will live”.The son of this woman didn’t even want me to be there.As I walked out of the room I prayed and spoke over every patient.Then I left. Our words are very important.Jesus told us we will have what we say.Life and death is in the power of the tongue.So, even in the atmosphere of unbelief this woman was still healed. When we command in Jesus’s name, he takes hold of those words and brings manifestation.It is a simple 2 part process.We act in his name, he brings the result. Then our wonderful Father is glorified. Thank you for this, I cried at its simple beauty. Ancient of days.. As old as you are, you remain the same. We trust in you. May the same measure of grace abound unto us as we wait on you.. Strengthen us o Lord, to move mountains of fear, disease, calamity and chaos. You are awesome… Indeed all power belongs to you..
Father, increase our faith to move our individual mountains and more importantly, to tell the world that JESUS is Lord..